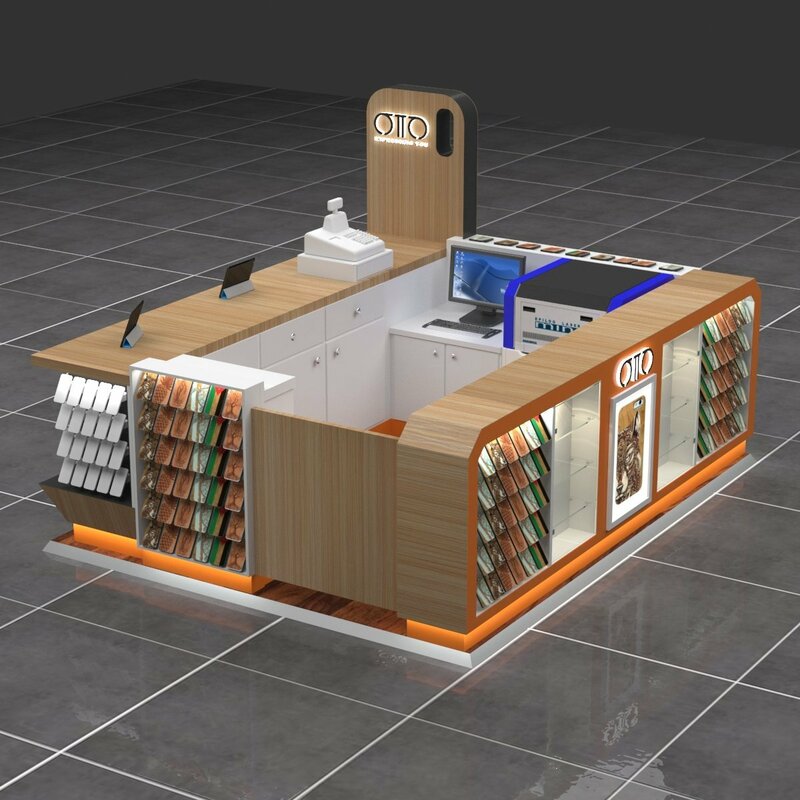 As a standard retail kiosk business stall. 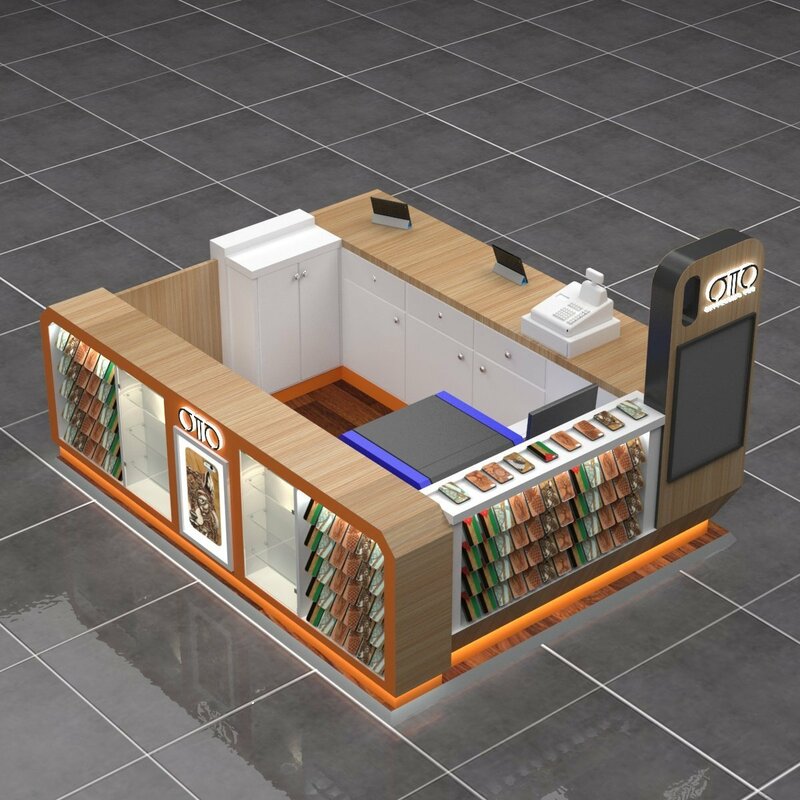 This kiosk can also used to display cell phone accessories or other retail products. 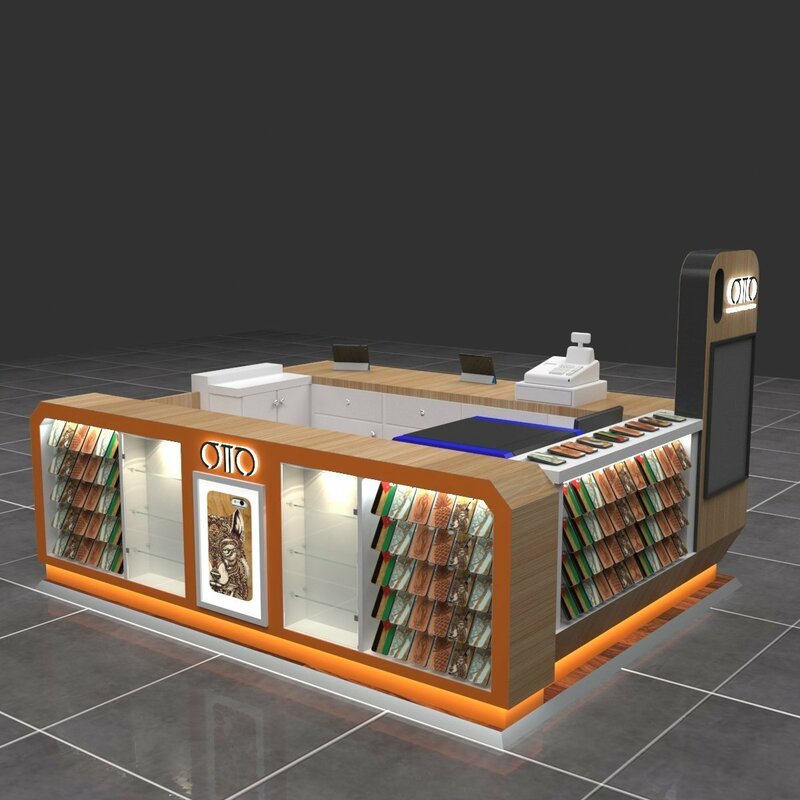 The body of the kiosk if build with high quality plywood and strong HPL lamination finish. 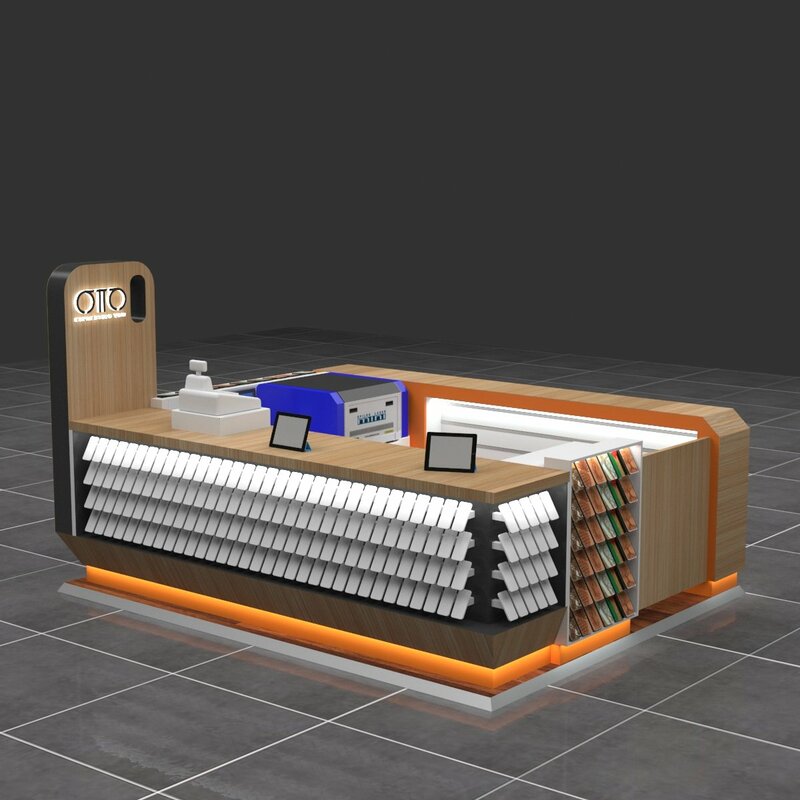 This retail kiosk has a lot of display and shelves , So you can display small items. Because painting kiosk in mall must have a special printer . So on the corner part has a space for it . 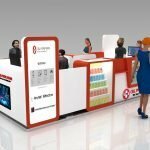 if you have a cell phone repair kiosk want to use this kiosk design ideas, you can put the screen fix machine in this location. This sides is designed to put cell phone accessories holders ,Those holder is made of milk acrylic , so you can put your cell phone display items direct on it . 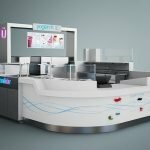 With the charming led light under the kick plate of the retail kiosk , the whole kiosk design bring a unique and lovely element. 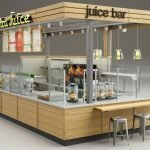 The unique element of display ideas on the side is also a good features to say. 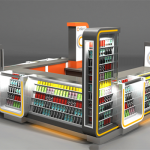 you can use this kiosk ideas do also any type of retail business.